Senior Horticulturist Mark Hoult and Senior Technical Officer Mark Traynor from the NT Department of Primary Industry and Fisheries Plant Industries Development (PID) unit recently hosted research collaborators working on the project ‘Tropical Tree Fruit Research and Development’ in the Philippines and Northern Australia. The project is funded by Australian Centre for Integrated Agricultural Research (ACIAR). 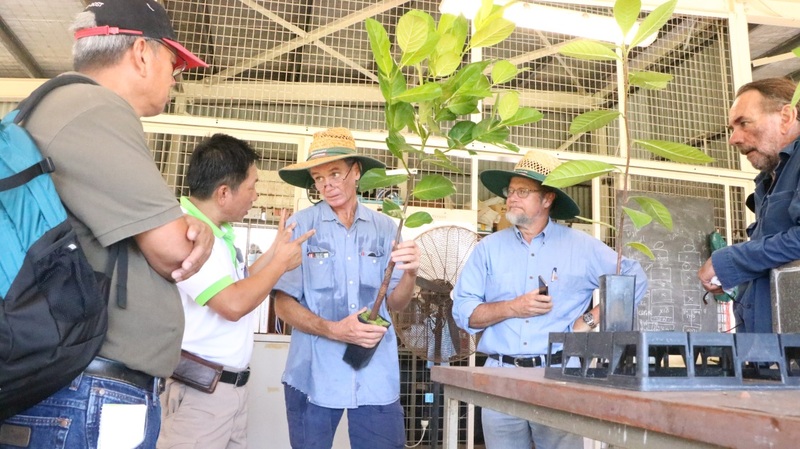 Filipino researchers Dr Francisco Dayap and Dr Dario Lina observed best practices for Australian fruit production systems from the nursery to the field at Berrimah Research Farm and Coastal Plains Research Farm. They also visited several commercial orchards and spoke with fruit growers in the Northern Territory. They were accompanied by former DPIF staffer Yan Diczbalis, now the Principal Horticulturist for the Department of Agriculture and Fisheries, Queensland, and Dr David Hall, a consultant for the project. Dr Dayap is a researcher from the Department of Agriculture in the Philippines. He leads the nursery and nutrient management component of the ACIAR project. Also from the Philippines is Dr Lina, an associate professor with Visayas State University where he leads the nutrient management and flower regulation component. The visit was funded by NT and Queensland committees for The Crawford Fund and ACIAR. Time spent in the NT will help the researchers develop an understanding of disease management practices, nutrition budgeting, fertiliser management and flower regulation techniques used in tropical tree fruit production in Australia. They will also gain a better understanding of the relationships between various components of production and the impact of mismanagement in one area on the entire production chain. The ACIAR project aims to improve the livelihood of smallholder tropical fruit farmers in the southern Philippines and enhance new fruit industry development in tropical Australia. 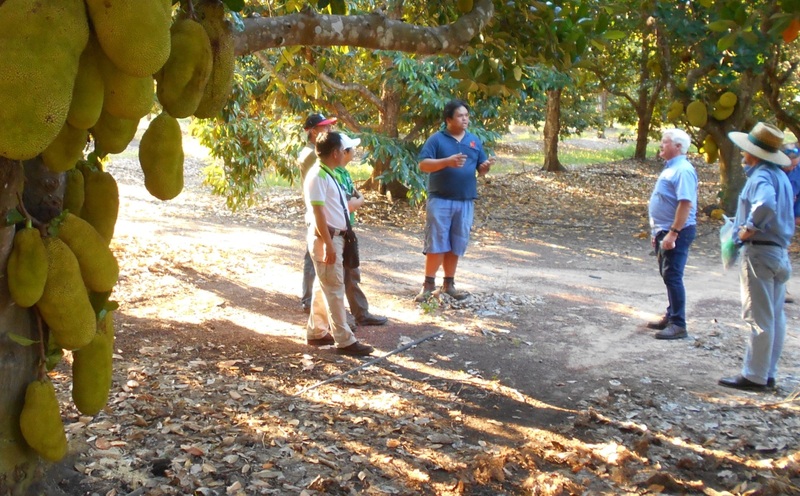 This includes developing and implementing integrated disease management programs in jackfruit and improving crop management to increase jackfruit productivity and quality in the Philippines and other tropical fruits in northern Australia. It also aims to develop improved processing applications for jackfruit and lychee.